Beachgoers found the 'skeletonized' remains inside a boot on the south end of Jetty Island, just off the coast of Everett, Wash., on New Year's Day. 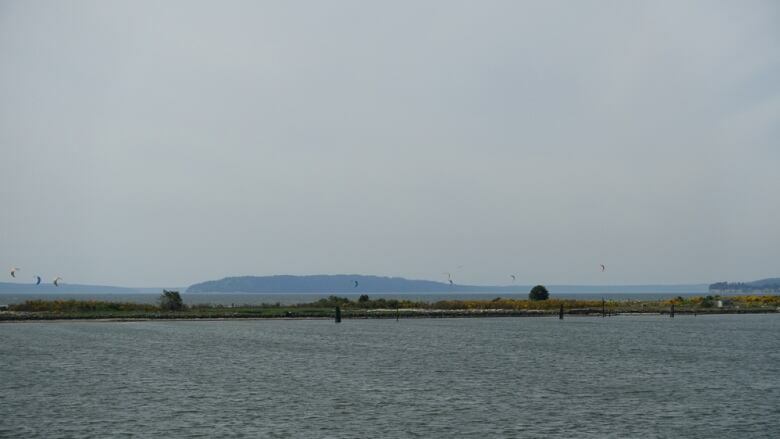 A human foot has been found on a small, man-made island in Washington state. Beachgoers found the remains inside a boot on the south end of Jetty Island, just off the coast of Everett, Wash., around 2 p.m. PT on New Year's Day. The group phoned 911 and the Everett Police Department recovered the remains. "Based on the condition of the boot, it appeared it had been in the water for some time," said department public information officer Aaron Snell. The Snohomish County Medical Examiner's Office has confirmed the "skeletonized" remains are human. It has not yet been able to confirm an identity. Snell said it's believed to be the first time a human foot has washed ashore in Everett and the department will be investigating further. More than a dozen feet have washed up on B.C. shores since 2007. The most recent was found on Gabriola Island in May 2018. At least five have been found in Washington state in the same time frame. Storm passes but leaves flooded roads and avalanche danger behind in B.C.